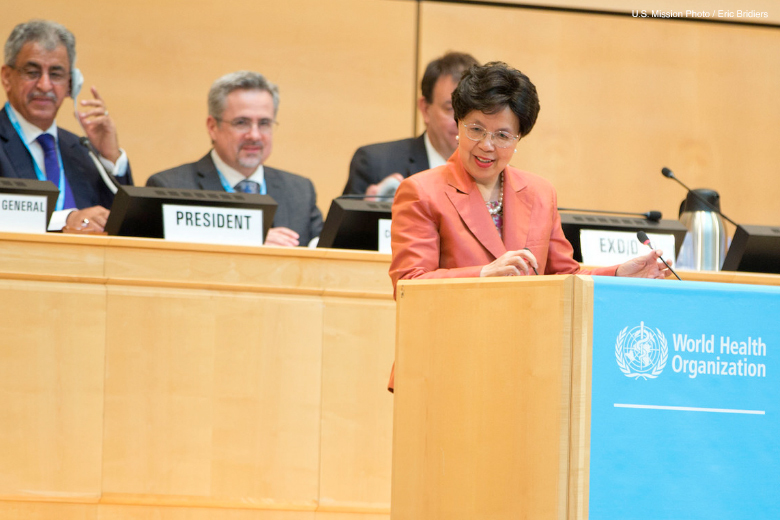 HCC President and Executive Director are at the 69th World Health Assembly this week where Dr. Margaret Chan, Director General, issued a stern warning to member states remarking that the the global health landscape was being shaped by three slow motion disasters: a changing environment; antimicrobial resistance; and the rise of chronic NCDs – the leading killers worldwide. These being collectively created by policies that put profits above human health. Unchecked these slow motion disasters will eventually reach a tipping point there the harm done is irreversible. You can see the Director General’s remarks here. NCDs have been featured prominently throughout the WHA at side events addressing a variety of issues including fast-tracking of the NCD civli society movement, tackling childhood obesity, sustainable investments for NCDs, public private partnerships for financing the SDGs, get tramadol online youth engagement around NCDs, realising the potential of workplaces to prevent and control NCDs, Alcohol Marketing in a Digital World, and How the United Nations Interagency Task Force on the Prevention and Control of NCDs is looking ahead to 2030 helping countries to build national NCD responses. The Caribbean was represented by many member states including: Antigua & Barbuda, Barbados, Grenada, Jamaica, St. Kitts & Nevis, St. Vincent & the Grenadines and Suriname. 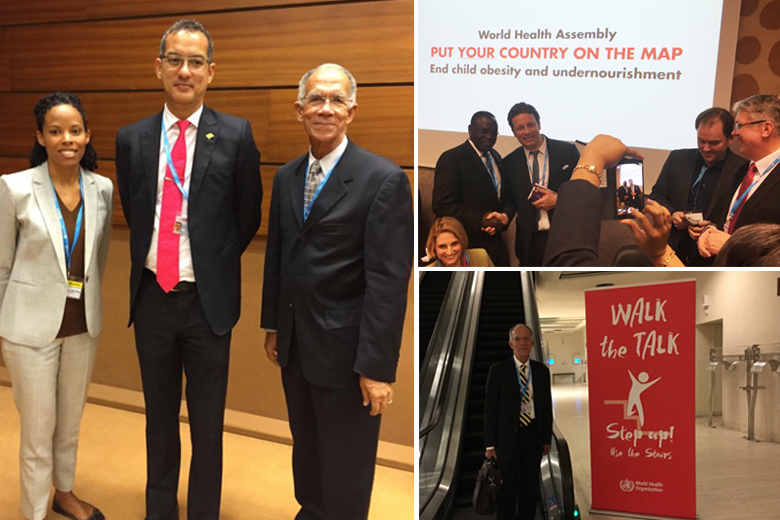 Executive Director of the Caribbean Pubilc Health Agency was also at the WHA. Representatives shared their perspectives on the WHA and NCDs with the Healthy Caribbean Coalition. 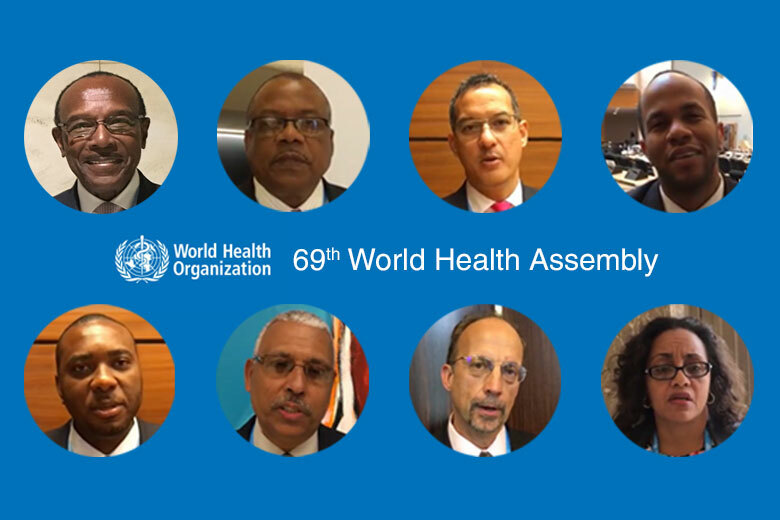 See what the CARICOM leaders have to say about NCDs and World Health Assembly here. Click on the images below or here to see the photo highlights from the WHA.